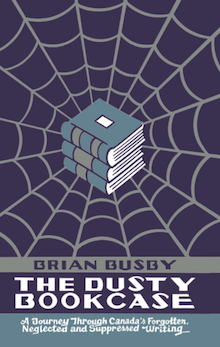 The Dusty Bookcase: The Pyx Censored! I spent a couple of hours this past weekend researching John Buell's second novel, Four Days, first published fifty-five years ago by Farrar, Straus & Cudahy. And why not? Buell is one of our finest novelists – Edmund Wilson thought so – but he is also one of our most unjustly neglected. I was honoured to help usher his debut, The Pyx, back into print last year as part of the Ricochet Books series. The Pyx was roundly praised, enjoyed numerous translations, and was adapted to the screen in a not so bad film starring Christopher Plummer and Karen Black. Four Days too was praised. It has always been in the shadow of Buell's debut, and yet it is the better novel. 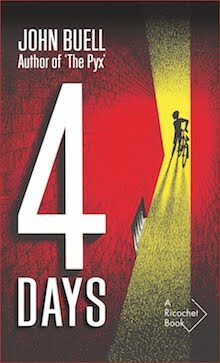 In fact, Four Days is the author's best novel and is one of the greatest novels set, as least partly, in Montreal. I'll leave you to guess. 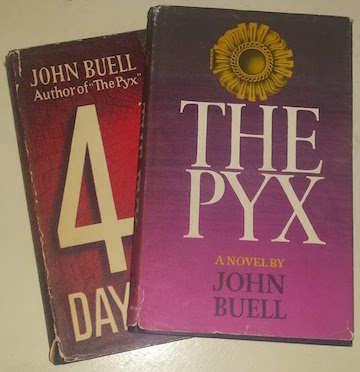 This, Mr. Buell's second novel, is of a texture with his first, The Pyx. Both reveal his careful study of Graham Greene – the concern with outlaw characters, the struggle between good and evil, the ever-narrowing pursuit both spiritual and physical, the compassionate Catholicism that appears before even those who spurn it, the violence, the pity. Unlike Mr. Greene, Mr. Buell writes with an economy of viewpoint and action, a simple unfolding of his story. 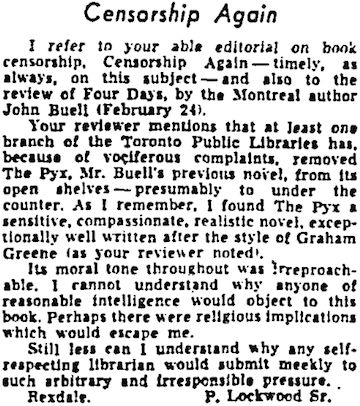 Furthermore, Mr. Buell is never off-colour, as Mr. Greene sometimes is, making it even stranger that at least one branch of the Toronto Public Library has, because of vociferous complaints, removed The Pyx from its open shelves. 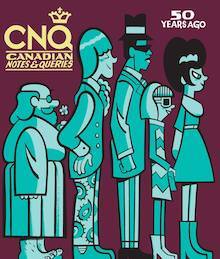 The Toronto Public Library website informs that six copies of the Ricochet Books edition are in circulation. 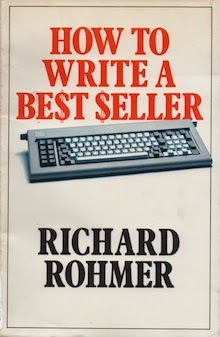 Only one copy of the Farrar, Straus & Cudahy edition survives. I met Buell in person in December 2001. He then sent me a paperback copy of The Shrewsdale Exit, which I had struggled to find (though today it is easily available online). 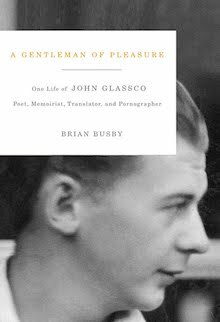 A great writer whose work does deserve to be much more widely read and celebrated. Indeed, hi work does deserve to be more widely read. It's a shame to think that only The Pyx is in print.